It really should not be all that much to ask, right? You are dealing with a serious illness or injury. All you want and expect is some empathy, some understanding, some patience for the patient. But instead, you get snarkiness, robotic intonations of phrases, clockwatching, and no Q&A. And if you are lucky, you might even catch the doctor give you a glance just to see if you are still paying attention to what you are being told. Being a patient and caregiver, I have been on both sides of this issue. So I feel that I can be fairly objective about this. But please do not confuse my objectivity with acceptance or letting anyone off the hook. As a patient, we have our own responsibility to ourselves also, to make sure that our needs are being met. And when we are facing a difficult medical crisis, those needs also include emotional. Without our emotional needs being met, we lose trust in the one person who is responsible for possibly saving our life. And this attitude can have a definite impact on our survival. 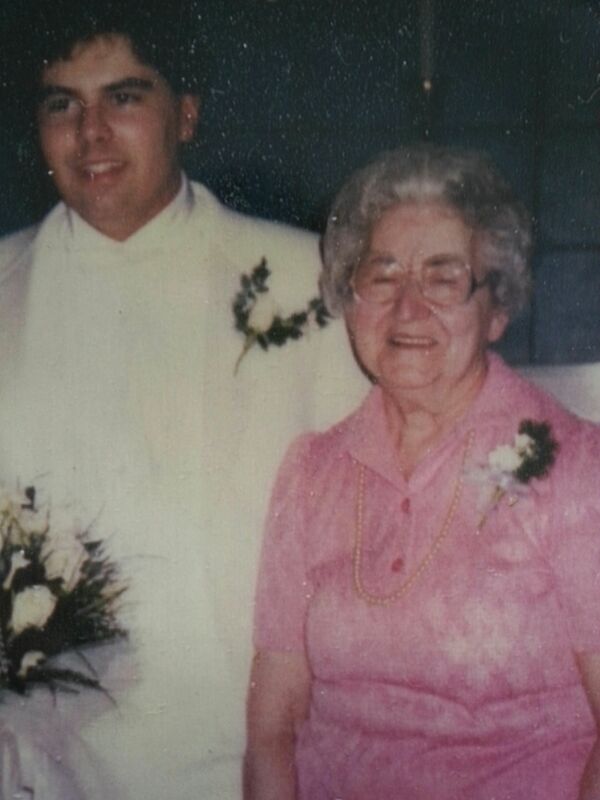 When faced with my own cancer, Hodgkin’s Lymphoma, I turned to the very first person that I ever knew to survive cancer, my grandmother. She had been diagnosed with breast cancer in her early 70’s. She had a mastectomy, and took some preventative chemo, and survived more than a decade. She had been treated at a small-town hospital. But she had survived. It was a no-brainer, that I would choose her oncologist to treat me. Dr. M had saved my grandmother. I felt my chances would be great in my favor. Dr. M was an older doctor, probably very close to retirement. From what I figured, he was very set in his ways. And it was his way, and only his way. We clashed several times, but Dr. M soon learned that I was in charge of my care, and decisions were going to be made by me. I still had trust and faith in how I was going to get through this, but it was going to be on my terms. Well, I guessed wrong. As soon as my lymphoma was gone (a result of my decisions), new disease was discovered. This time Dr. M was not going to mess around. I could no longer avoid chemo, a stereotypical terror I feared, and with good reason. But it was his lack of bedside manner, while I was facing my biggest fears, and his reluctance to answer two full pages of questions that I had in regards to chemotherapy treatment. He took one look at my hands, saw the lists of questions and then said, “I don’t have time to answer that.” And he walked away from me. I was firm. I had questions that needed to be answered before the first drip of poison was going into my veins. And so I fired my oncologist, the same doctor that cured my grandmother. I went next to my therapist and told them what I had done. I was kind of surprised at his reaction in that I received part empathy, and part lecture. It was the lecture that I got first. I was made to understand, that oncologists deal with death. Many of their patients do not survive. Oncologists know this possibility exists with each patient that they take on, and for my requirement of an emotional attachment from my doctors, I was told, it probably was not going to happen. However, then, I was told by my therapist that he would help me find another oncologist. Surprisingly, it came from the same oncology group. Dr. V was a younger man, an Army vet, but had a bit more of a personality, which I felt was important. At least if my questions did not get answered, at least I might feel that he cared about whether I made it or not. But who can argue with my decision? I am here 25 years later because Dr. V earned my trust, which resulted in me fighting with a more positive and certain attitude. 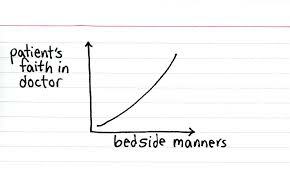 There is no doubt the impact of bedside manners of a doctor, can have on a patient. That is not to say that a doctor does not have a right to be a jerk, or scold, or lecture. 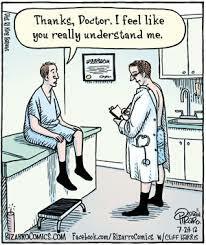 Every doctor I have ever had since Dr. M, has scolded me, lectured me, one even yelled at me. But I also know, they cared for me. If I did something foolish, like eat a particular food, or as many Hodgkin’s patients know, drink any alcohol, as a patient, we paid the price. And an oncologist would have every reason to want to lecture us. They are trying to save us, and we give off the appearance that we do not have the respect for what they are trying to do for us, save our lives. I once told one of my doctors that I “deserved” the amount of daily pain I deal with as my price for surviving cancer. And when I say I got yelled at, even at my then age of 45, I GOT YELLED AT! But I knew where he was coming from. And I also made sure I never gave him a reason to do that again. Does that mean that we should stop living? Having fun? Doing dangerous things? Absolutely not. But we need to keep things in perspective with our doctors. Yes, they are busy. They may have a lot on their minds, perhaps a patient who did not survive, maybe even something personal. But if you have a doctor that you feel really has no bedside manner, or at not enough to meet your needs, you have a responsibility to yourself, to not accept that. There are options available to you to deal with this from nurses, to therapists who will intercede on your behalf, or even your case worker. But remember, if the “manner” is being brought on by your own behavior, then the responses are to be expected.